Preet Bharara knows what it’s like to deal with Donald Trump. The former U.S. Attorney for the Southern District of New York–who made it to the cover of Time magazine for going after Wall Street criminals with a vengeance–was asked personally by President-elect Trump to stay on after the Obama Administration. Bharara even met him briefly, but thought it odd when Trump asked him for his personal contact information. After all, Obama never called him, perhaps to avoid any appearance of conflict. Why would Trump want to talk directly to a sitting U.S. Attorney? Trump while president-elect called Bharara twice, and Bharara took those calls, which he described as “genial.” But when the third call came in on March 9, Trump was president, and Bharara chose not to take the call. Bharara was able to avoid his own constitutional crisis of conscience. But it forced him to take a principled stand for the truth. And it cost him the job he loved. That’s just one of the reasons he’s being honored with a Justice in Action award at the annual AALDEF Lunar New Year Gala on February 15. He’ll be joined by honorees New York Times journalist and commentator Linda Greenhouse, and Chan Lee, general counsel North America of Sanofi. Bharara’s dilemma seems to be what the entire country is facing now. Get your tickets before the whole country has a constitutional crisis. Last May, I was in Washington, DC to give two speeches during Asian American and Pacific Islander Heritage Month when the news hit. The city did not disappoint. FBI Director James Comey was testifying before the Senate Judiciary Committee, the final straw in a showdown with the White House, which had asked Comey to back off the investigation of former national security advisor Michael Flynn. Trump then fired Comey, which set off the appointment of Special Prosecutor Robert Mueller to investigate the connections between Trump, his campaign, and Russia. Some friends of mine who remember Watergate were wondering aloud if we were seeing the makings of an obstruction case against Trump. That’s when I first thought about a constitutional crisis. The consensus was that it was bad, but too soon to say. But there was Robert Post, Yale Law professor, a member of the American Philosophical Society and the American Law Institute, commenting in Politico about how the president had a complete disregard for appearances. Nine months later, are we at full obstruction yet? Has Trump’s ego totally eclipsed our democracy? Trump continues to act in his own special way with the truth, calling the Russia investigation a “witch hunt” and a “hoax.” He reportedly was close to firing Mueller but backed off, all while continuing to bash the FBI, DOJ, and intelligence communities involved in the investigation. And then just last week, he declassified and released a bit of propaganda known as the Nunes memo ,which the president claims “vindicates” him. It does not, but in Trump Court, it’s case closed. Why even bother speaking to Mueller now? The New York Times reports that the Trump legal team won’t let him speak to Mueller. Maybe they’ll let him tweet at them? When you put Donald Trump under oath, who knows what he’ll say? We may not be quite to a full constitutional crisis, but we do have a truth crisis. THE RACE FOR A DACA FIXOn Monday, as the market crashed, Trump was in Cincinnati, a rabid hotbed of Trumpism. There he was talking trash in rally mode and doing what he could to foster even more confusion. He went after the Democrats, especially how they reacted to his State of the Union Address where the clap-happy Trump boasted of his tax plan and the economy, among other things. Maybe Trump is tired of being president and would rather be treated like “Little Rocket Man,” who has North Korean politicians in the Supreme People’s Assembly applauding his every platitude? The whole thing is distressing as Congress scrambles to put together a bipartisan bill this week to keep the government open. But it’s also a race because Sen. Mitch McConnell promised to get another bill to the floor by Feb. 8 to address the fate of the 800,000 recipients of DACA, the Deferred Action for Childhood Arrivals program. Can a bipartisan bill be brought together that even approaches Trump’s demand for $25 billion to build a wall? March 5, the deadline Trump set for the end of DACA, is approaching. And as I write, White House Chief of Staff John F. Kelly just told reporters that Trump isn’t expected to extend the DACA deadline when the protection for Dreamers expires and deportations can begin. Will Dreamers be a low priority? Do you trust the White House on anything? It could all be a ploy to put pressure on Congress to act. The House has already come up with a bipartisan approach that calls for a study of the wall and about $110 million for five years for border security. It’s good enough to draw together traditional partisans like Asian American leader Rep. Judy Chu and New York Rep. Peter King, a rarity. But that still may not be enough for Trump. With the Senate expected to duplicate the House proposal, lawmakers and the president aren’t even close. And while Kelly set the hard line on any extension, he attempted to show how generous Trump was being by extending the pathway to citizenship for those who didn’t even bother to sign up for DACA. They were either “too afraid” or “too lazy,” Kelly said, using stereotypical language, perhaps to let the base know Trump wasn’t going soft. The truth, however, could be that some didn’t have the money for DACA fees or were shut out by age limits. Remember, it’s a truth optional White House. Meanwhile, the president denigrates everything in his way as one big joke to his base. “Treasonous” Democrats? As long as Trump plays base politics, he’ll have half the country cheering LOL, while the other half goes WTF. This is what our country is like when one man apparently thinks he’s above it all. It’s the signal for all partisans to come together and put country first. And even then, people like the Dreamers will be caught in the middle, as will many others. When you are faced with your very own personal constitutional crisis, a bonafide PCC, what will you do? In these Trump times. 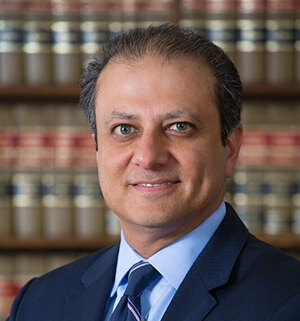 Preet Bharara can stand up for himself. But too often, others in our community can’t. Too often, their only resort is to turn to an organization like AALDEF. 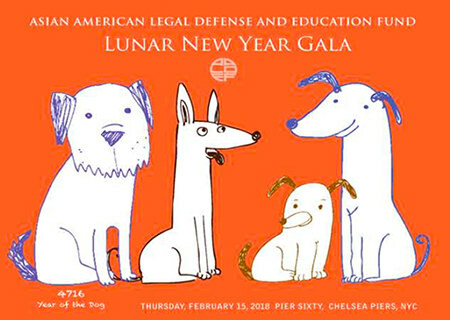 Come hear Bharara and support AALDEF at the lunar new year gala and Justice in Action Awards presentation on Feb. 15.